Whether you are looking for some Fall family fun, or just a pumpkin picking experience for the kids, there is plenty to keep everyone busy in September and October. Here are just a few ideas of places to visit and things to do in and around Red Deer this season, both inside and outdoors! Call before you go to check hours and event times! The Lacombe Corn Maze at Kraay Family Farms offers hours of endless fun for all ages, with over 40 terrific attractions. To name a few: Tire Mountain, The Grain Train, The Pumpkin Pad, Timberline Adventure, jumping pillows and so on. 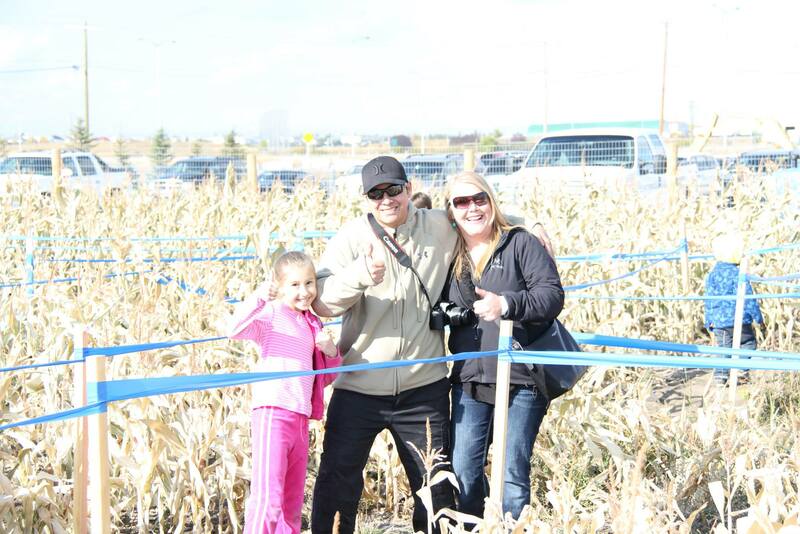 By far our favourite corn maze in the province! Visit their website at www.kraayfam ilyfarm.com to check everything out! They are generally open until mid-October from Tuesday to Thursday 4-8pm, and Fridays & Saturdays 10:30am – 9pm. With a 3 story indoor play playground and childminding for siblings if need be, you just can’t go wrong. This is a family favourite for us and usually at the top of the list for my kids on rainy or winter days. Although it’s now closed for the fall and winter months, it is worth mentioning that “The Abbey”also boasts one of the coolest outdoor aquatic centres around – complete with a children’s water park and water slide! Children 2 and under are free, and kids up to 12 can explore and enjoy this terrific space. Check out their website for pricing and hours, and make certain to bring socks. 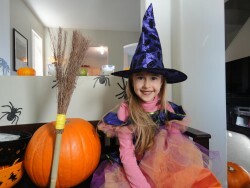 *The Abbey also offers a concession and is also a very worthy consideration for birthday parties! Within easy driving distance from Red Deer, Stettler, Blackfalds and Lacombe, this indoor play place has something for everyone on a rainy or crummy day! Moonwalkers offers a 3,500 square foot indoor Play Center equipped with several slides, a zip line, and many tunnels. Visit their site at www.moonwalkers.ca or call them at (403) 747-2221 for hours and rates. *Everyone in the facility must wear socks or slippers at all times. More than just a “museum” the ASHFM offers families interactive games including a multi-sport area with virtual baseball, basketball, football, hockey, and soccer. Visitors have the opportunity to use real equipment to shoot, throw and kick at a virtual screen! Additionally there is a Golf putting area, wheelchair race, snakes and ladders board game and they even host birthday parties too! Lots of discoveries and fun to be found locally. For rainy days of course there are Collicutt and The Dawe – both amazing pools, with waterparks and slides for kids. Please note that Collicutt is doing pool extensive pool maintenance currently and is closed from Tuesday, September 6th until Saturday, November 12th. Have a wonderful season and Live Well!